I think that the less you write, the more you wonder where successful writers get their inspiration. I always figured they were just more imaginative and creative than me, until ideas started coming to me and then I realised that it wasn’t so difficult to be inspired if you were curious about the world and if you’d cultivated the habit of being creative. There’s a fantastic Ted Talk by Ken Robinson called Changing Paradigms where he speaks about the way we are educated. When we are very young, we play and are therefore allowed to express our natural creativity, but this disappears the more educated we become and Robinson puts this down to the effects of standardisation. I must admit I always hated school, and it was probably for this reason. It didn’t help that I was quiet and shy and therefore misunderstood by most teachers. I found it difficult to learn as part of a group and it was only once I’d left school that I slowly started to be inspired by the world around me and that was when creativity truly began for me. We are all naturally creative but it’s something that can’t be taken for granted. As we grow older, it tends to fade as ‘real life’ takes over and we end up operating in a default mode, which doesn’t allow for ‘out of the box’ thinking. Last year I did a mindfulness course and one aspect of mindfulness is curiosity i.e showing an interest in life and what’s going on around you. This necessitates fully engaging with the present moment and in so doing, you become inspired as a tiny, seemingly innocuous moment can provide sufficient inspiration for a poem, short story or piece of flash fiction. 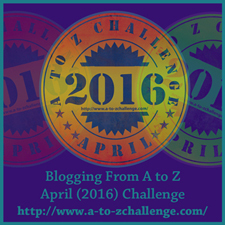 4/ Participate in flash fiction challenges, especially those with prompts or themes. I’m sure that if you try these things, ideas and words will naturally arise. I agree with you on all points. From the one about school trying to mold everyone like a brick /yes, I’m referring to that song :)/ to the ways you suggested to nurture creativity. I think that also just going outside on the street can inspire you, everything can inspire if you keep an open mind. Sadly, there is another problem – when you get all those ideas, how do you find the time to write them? Ay, there’s the rub….